In the past two years, Hotel Lev was ready for refurbishment! The new looks were headed after the lobby bar, breakfast room, hotel’s gym and hairdresser, located in the mezzanine of the hotel and last, but not the least, even their conference hall got a new look. New style and the setting is putting Hotel Lev on the list of one of the trendiest hotels in Ljubljana! The picture-perfect lobby bar and breakfast room (with its little urban herb garden!) are much appealing, but a great achievement for the guests and hotel is definitely the new Wine Corner, which offers wines from all around the globe. After the public areas and common rooms, the Hotel’s Lev ongoing plan is the renovation the hotel’s first floor with the thought of ensuring a memorable stay to all of their guests. 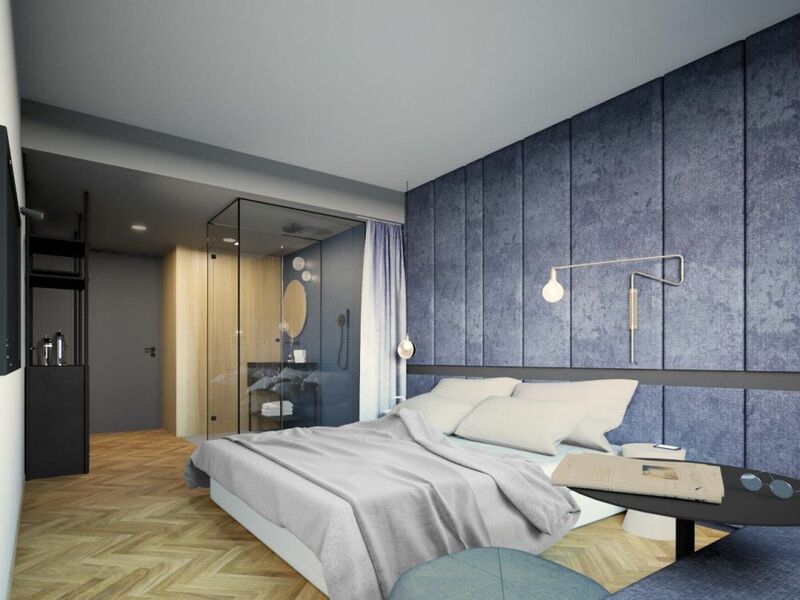 New »Premier« rooms will be introduced and will feature a contemporary, open-space design for sophisticated comfort with state-of-the-art hotel amenities. Rooms with a double bed will be furnished with stylish bathrooms with a raindrop shower, selected Prija bathroom cosmetics, laptop-sized safes, soft lounge seating by the windows, Wi-Fi and flat-screen TVs. Feel welcome to book your stay in Hotel Lev and head for the experience of their Premier rooms in April 2018!